This is second installment of Street Booze, where I document the various bottles of booze found tossed around the neighborhood. 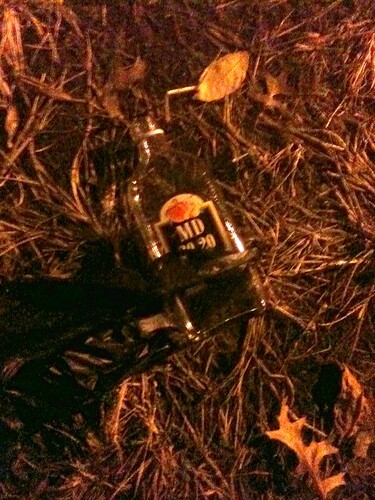 This one's a bottle of MD 20/20 (aka Mad Dog) with a plastic bag around it that I spotted on Irving between 13th and 14th (at night, hence the blurriness). Mad Dog is a fortified "wine" that's fruit flavored, and this one was "peaches and cream." I remember drinking this stuff in college and having it at parties as a joke. Interestingly, according to Wikipedia, the MD stands for "Mogen David," the name of the company that makes it, and it's from Westfield, NY. Mogen David is Hebrew for Star (or shield) of David. Not sure what 20/20 means, since you won't seeing 20/20 after drinking it. If you like beer (and especially stout) get over to Room 11 today. They've started a new Monday Night Beer Series where they tap a keg of something different and pair it with some food. Today's beer is Brooklyn Black Chocolate Stout, and owner/bartender Dan Searing told the Post he might pair it with some blue cheese. Have been meaning to write about this for awhile -- there's a gay dance party called Pink Sock starting up for the third Wednesday of every month at Wonderland. Doors open at 9:00 pm with no cover and there's a $5 shot and PBR special. The first one was on the 18th and I hear there was a big crowd, and the next will be December 17. Their press release also notes that Wonderland used to be a longtime gay bar called Nob Hill. The release adds: "We're talking everything from Grace Jones to Prince, Madonna to Lady Gaga, Miss Kittin to MSTRKRFT. To further stimulate and entrance you, there will be accompanying visualizations and home-made music videos that are sure to delight and disturb." Here's their website and Twitter. Saw this the other day: Washington Post columnist Petula Dvorak writes about Columbia Heights with a column called "Columbia Heights still has far to go." I agree with that premise, but the column itself is... strange. It almost reads like it was much, much longer but was cut down, leaving not much actual content. She talks to a couple kids who aren't surprised by the violence in the area, and then attempts to contrast Tynan Coffee and Tea with an unused playground. Dvorak talks to one other person who says the new development isn't making crime drop, and Dvorak mentions statistics that crime is going up. And that's it. The column just sort of ends. It's odd, and I don't really know what to think. Obviously there's a lot that still can improve in Columbia Heights, especially involving kids and crime, but at the same time, this column lends nothing -- no suggestions, no ideas, no examples. Post commenters are pretty angry about it, calling it a "hit job" and such. Your thoughts? 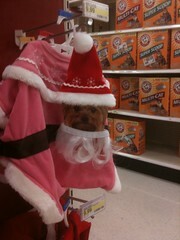 Sometimes Christmas decorations and displays coming early can be funny -- saw this the other day at our local Target, it's a Santa costume for dogs. They also had some other various amusing Christmas things for pets. Mostly I'm against dog costumes because they are ridiculous, but this one is just too funny/weird to ignore. Here's a map of the PSAs if you're not sure which one you're in. Neat event tonight at Wonderland, where you can learn about Greater DC Cares and Inner City Outings. Greater DC Cares is a group that matches volunteers with groups that need them, and Inner City Outings takes inner city kids on trips to nature. Wonderland Ballroom is hosting a Greater DC Cares/Inner City Outings Happy Hour from 5pm-8pm. Enjoy food and drink specials and learn more about our programs. 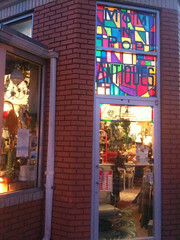 Wonderland is located at 1101 Kenyon Ave St NW. 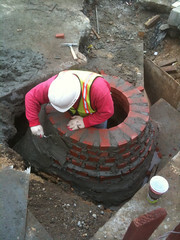 As you've probably noticed, the 14th Street construction is continuing apace. The intersection of 14th and Irving is basically done, with new pavers, trees, benches, and it looks like an area for greenery. 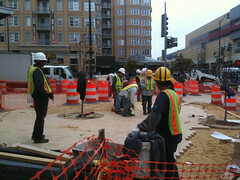 The civic plaza is done, and 14th and Park/Kenyon is the new focus, going north towards Monroe. The streets are dug up along 14th and Park (pictured here), and sidewalk work isn't quite underway at that intersection. Sidewalk construction looks done at 14th and Kenyon. There's also been some street closures, more of which is on the Streetscape website. Unfortunately future plans aren't described too well on the site, so stay tuned! 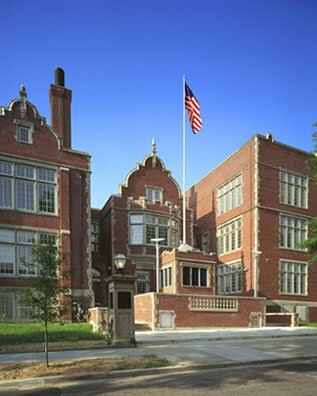 The South Columbia Heights Neighborhood Association/MPD/ANC meeting is today at the Josephine Butler Parks Center, which is at 2437 15th St. NW. Along with usual neighborhood meeting trappings and the police readout, there's also going to be a report on speed humps going in on the 1100 and 1200 blocks of Clifton and Euclid Streets, plus construction at Cardozo Court, which is at 1343 Clifton Street NW. To enter, submit before November 20th a 250 word entry on what you're most excited about for this year's Black Friday. Here's the link for entering. Good news and bad news about the case of Oscar Fuentes, the 9-year old who was shot and killed in his family's apartment over the weekend. The Post reports an arrest was made, which is good. The scary news is that apparently the apartment building has 100 fire code violations and tenants say gang members control the building, even collecting rent from residents. That's insane and I hope something is done about that, and about the landlord. There was a vigil last night, and there's a press conference going on now, so check back soon. Last night my buddy spotted Michael Isabella at CommonWealth. He's from DC and is the chef at Zaytinya. Cool to see famous folks in the hood, even if they're from DC. This is pretty cool -- I noticed on Google Maps that they have dots for bars, restaurants, shops and such. It's pretty up to date also, Room 11 is on there. A couple spellings are off (El Rintinonto instead of El Rinconcito) but still, pretty cool. In case you missed it, Chipotle opens Dec. 10! I wrote about it on Saturday, but in case you missed it, Chipotle is opening on or about Dec. 10. I snapped this sign this weekend, which says "we will be opening for business on or about Dec. 10" and they're hiring (come by M-F 9am to 5pm), and I also snapped a couple shots of the outside and interior. Looks like the mural at the 14th and Girard Street Park (aka Barack Hussein Obama Park) is coming along quickly. 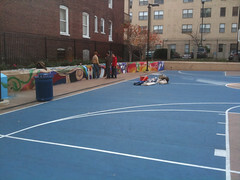 I snapped this the other day and this morning I noticed guys painting not just on the wall, but on the ground too -- the mural continues down towards the basketball court, which is pretty cool. The Post has a big article on the shooting of Oscar Fuentes, the 9-year old who was shot and killed in his family's apartment on the 1400 block of Columbia Road. It turns out the lock on the building's front door was damaged. The Post article seems to imply that no one has been arrested, as MPD Chief Cathy Lanier says "I'm very confident that this case will close with an arrest and will close with an arrest shortly." 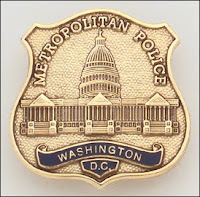 However, Jim Graham said yesterday on the Columbia Heights listserve that some people have already been arrested. Maybe the Post quote was given before Graham's post. Either way, it's a very sad story. If we learn anything from this crime, it's that if something is damaged or unsafe in your building, report it immediately to your landlord. 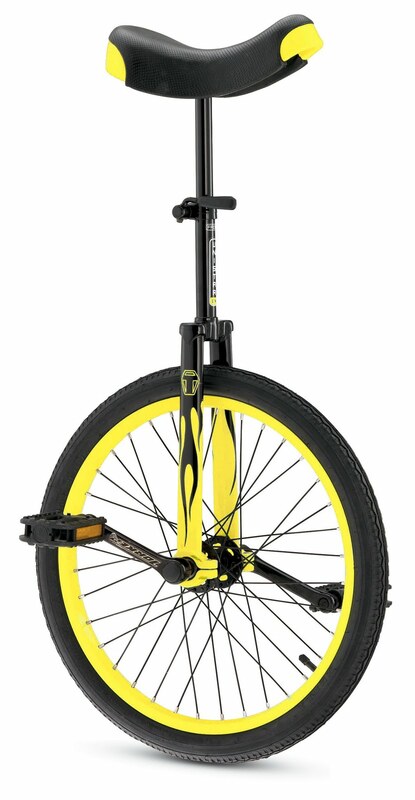 If it doesn't get fixed quickly, move up the chain to your ANC comissioner or city council member. 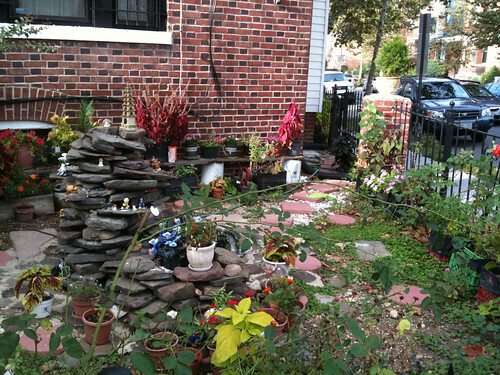 It's the landlord's responsibility to keep a place safe and well-maintained. Of course, just fixing the door doesn't mean this doesn't happen, but better safe than sorry. Just got info on the Northwest Columbia Heights Citizens Association meeting today at the St. Stephens Church, 1525 Newtown Street NW. It's from 6:30 to 8:30 and will be in the downstairs cafeteria. According to the flyer, there will be "Small-group discussions of neighborhood safety and quality of life issues." 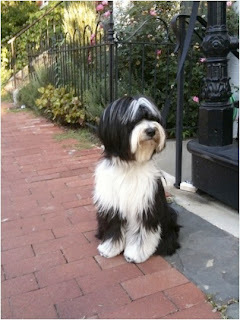 Dear Friends, I have just returned from a tragic scene at 14th and Columbia. Just before 10 PM, a nine year old boy was shot dead in the presumed safety of his apartment at 1433 Columbia Road. AT this time, it appears that there was some kind of fight in the hallway, shots were fired, one of which entered the apartment and killed this boy. I have the name of the boy (who happens to be Latino) but I am not releasing it since I do not know whether the entire family has been notified. Chief Lanier and Mayor Fenty--who were both on the scene-- stated that there are persons in custody. 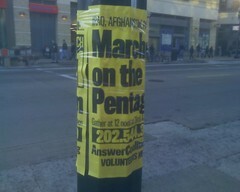 MDP was out in force in the neighborhood, it being an All Hands on Deck weekend. Police were on the scene immediately. Our hearts and prayers go the family. 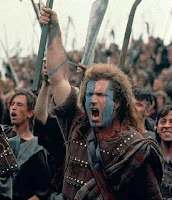 I have sent messages that my office is prepared to do we can to help. 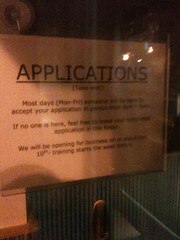 A bit hard to read, but it says they're hiring and "we will be opening for business on or about Dec. 10." I also snapped a couple shots of the outside and interior. Looking for something interesting to do this weekend? Why not check out the newly opened Columbia Heights Heritage Trail! You can get the trail booklets from the link or at local businesses. Then stop by a local spot after you work up an appetite or thirst while walking and learning about our hood. It looks like there's some interesting stuff on the tour. Let me know if you take any pictures or learn anything wild. 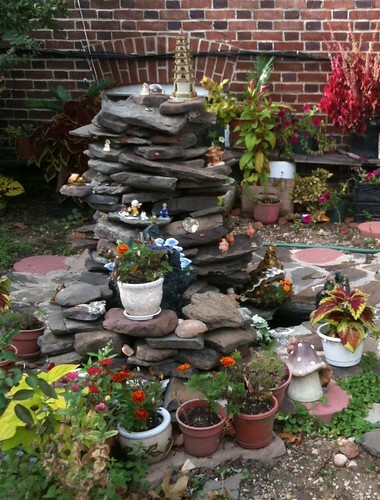 Walked by this place the other day -- it's at the corner of Monroe Street and Holmead, and I've always like the yard, which is full of random trinkets and stuff: plants, ceramic mushrooms, a mini pagoda, figurines, etc. The house i for sale for $789,000, though I'm not sure if the yard stuff is included. There are 5 bedrooms and 4 baths, so presumably you'd have lots of room for knick-knacks. Just saw this on the Beerspotter Twitter: D'Vines on 14th Street is sampling Heavy Seas Loose Cannon IPA, a big, floral, hoppy beer, from today until Saturday. Stop by and check it out! 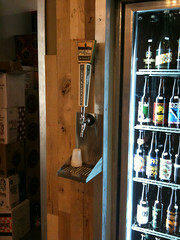 This is part of the store's beer tasting series, where they hook a keg up to the tap they installed in the wall (pictured). 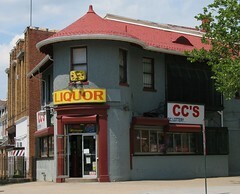 The other day a friend new to the area asked me about liquor stores, and I recommended CC's Liquor Store at 14th and Newton over the others in the area. They seem to be a few dollars cheaper than Speedy Liquor across the street and Florida Liquors at 14th and Florida. The guy behind the counter is also pretty friendly and recognizes you once you've been in a few times, which is cool. The one thing they don't have a lot of is mixers, so I'd try Giant for that. Anybody else with an opinion on the local booze establishments? Uh oh! 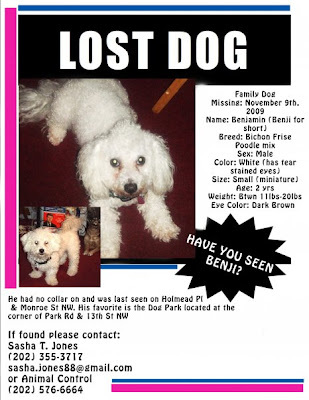 Have you seen this dog? Click the poster for a bigger version. 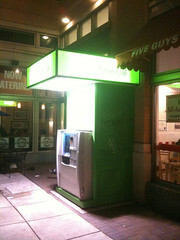 Just noticed this the other day -- a big, green, freestanding ATM has appeared at the west entrance of the Columbia Heights Metro, next to Five Guys. It's for something called Signal Financial, but with the weird green glow it kind of reminds me more of a spaceship. Plus there's already graffiti on it. That took about two days. Looks like the Chipotle on 14th Street is finally making some progress: the inside is pretty well along. Last I heard (which was months ago) it's supposed to be open in winter, so that sounds about right. We'll see! Just saw this on DCist: the city has eased regulations regarding posters for events -- now they can be up any amount of time before the event, but must be taken down after 30 days. Before I've complained about the ANSWER posters that are up forever after the event. The group was fined a number of times for not removing posters. The rule change stinks. If I've learned anything about poster putter-uppers, it's that they don't mind covering the neighborhood with posters and then not removing them. 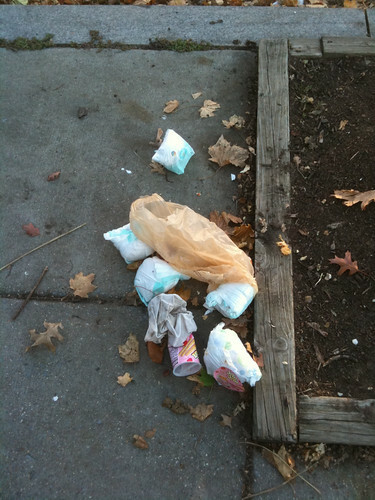 Diapers on the street -- Not cool. I saw this the other day on 13th Street around Columbia: it's a bunch of dirty diapers. This is not cool. There's a bag with them, but they couldn't wait to put them in a trash can? Come on. Just got a tip from a reader that they saw actor Richard Jenkins, who's been in lots of things, including Six Feet Under, The Visitor, Step Brothers, Outside Providence, etc, eating dinner at Eatonville at 14th and W on Sunday. 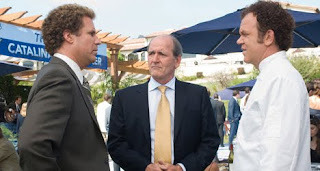 (That's him in the middle). Like I said, famous people are everywhere! Here's Eatonville's website and Twitter. Here's Wale's Wikipedia page and Myspace page. His debut album comes out tomorrow and he has some pretty excellent mixtapes for free download on the Myspace page. "Pat Your Weave" is on one of the mixtapes. Destiny De'Ve is at 3343 14th St NW, just north of Park Road. Shooting last night at 11th and Clifton -- see anything? At approximately 10:50pm last night at 11th & Clifton Streets NW, an adult male was shot and transported to the hospital in serious condition. Let's help MPD close this case. Please call Lt. Pearce with any information (202) 498-9833. 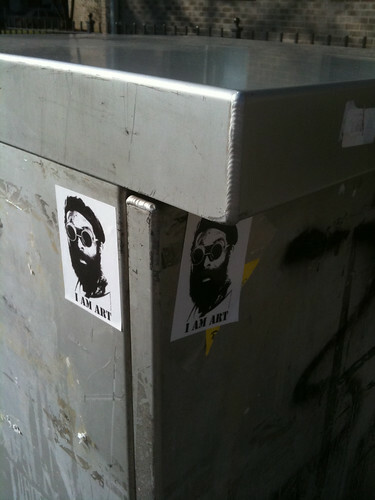 Lately I've noticed a lot of these stickers around the neighborhood -- it's a guy in goggles with the caption "I AM ART". They're kind of neat, though I'm not art expert so I'm not sure who is depicted -- or if it's a famous person at all. Anybody able to enlighten me? This sounds pretty cool: the DC Preservation League is having a walking tour of Holmead Village, the area bounded by 13th, 14th, Spring and Park Road. Holmead Village, built from 1907-1911, is "the largest tract of houses to be built in Washington until that time and the development that instituted front-porch row-houses as the predominant free-standing house type in Washington for the next three decades." The area even has a listserve! Anyway, the event is Sunday at noon, starting from the Tivoli. It's free to Citywide Conference attendees, $15 for DCPL Members and $20 for Non-Members. There's only 25 spots. "To make a reservation or for more information contact Amanda at DCPL by phone at 202.783.5144 or by email at rsvp@dcpreservation.org." Here's the whole ad (PDF). Movies filmed in Columbia Heights? The other day I was wondering about movies filmed in DC, and if any have been filmed in Columbia Heights. Off the top of my head, I thought of D.C. Cab and Syriana. DC Cab is a pretty crummy (but amusingly crummy) Joel Schumacher movie about a cab company staffed by Mr. T, Gary Busey, Bill Maher, Adam Baldwin, and some wrestlers called the Barbarian Brothers. They have a food fight against another cab company inside Florida Avenue Grill, which is kind of funny. The other one is a little more subtle -- in Syriana, Jeffrey Wright's character is jogging up the hill on 13th Street next to Cardozo High School when a car stops to talk to him. Doing a little research, I found a couple of neat things from the Post, which actually list addresses and such. It looks like 1412 Harvard Street NW is mentioned in The Day the Earth Stood Still, and parts of Dave are filmed in Mt. Pleasant. There's also a list of movies filmed in DC from Kitty Tours, but it's nor organized by area. Know of any other movies filmed in Columbia Heights? Let me know in the comments. And here's the intro of D.C. Cab. Enjoy? Saw an interesting post on the City Paper's Housing Complex blog about affordable condos in the Kenyon Square building in Columbia Heights and elsewhere. New condo buildings have some afforable units that are geared towards people making below the median income in the area. However, if those people sell their condos, they only get a fraction of the money back, and they can only sell to other low income people. After 11 years, for example, they get about half back, with the rest going to a city affordable housing fund. I see the point of these rules, which is to discourage flipping and such, but as the post points out, sometimes people just need to move -- they have a family now or whatever reason. Local nonprofits are looking to change the rules. Interesting stuff. ANC1b, the neighborhood commission that covers southern Columbia Heights, U Street, and part of Shaw, meets tonight at 7pm on the second floor of the Reeves Center (14th and U). Here's the agenda and a map of the ANC if you aren't sure whether you're in it or not. 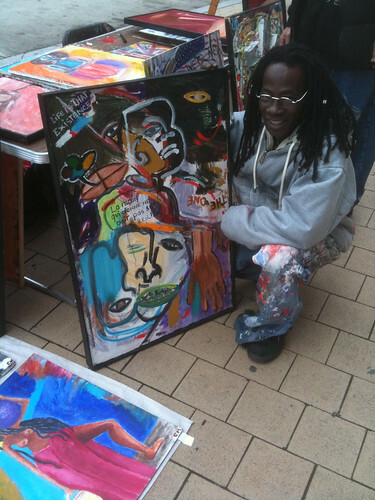 Lots of news about Ellwood Thompson's recently! Yesterday we heard from Ellwood Thompson's owner Rick Hood that the organic grocery store was looking for funding for construction from the city, and today we learn that the bill Jim Graham introduced giving them a tax break was passed by the city council on Tuesday. Should be interesting! For those unfamiliar, the grocery store stocks mostly organic and locally grown products, and would be moving into the Irving Street side of DCUSA. Their plans have been on hold since April, saying it was due to the economy, and they've said they're looking for more funding. This is pretty cool -- the Washington Area Bicyclists Association is giving out free bike lights tomorrow at the Columbia Heights Civic Plaza Thursday from 4:30 to 6:30 pm. 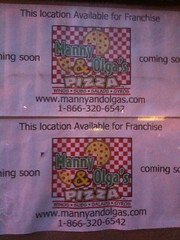 They're also doing it at the plaza at 18th and Columbia in Adams Morgan. Go get one and be safe! 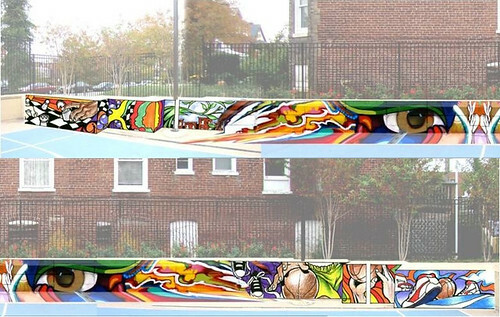 Nice to see more art coming into the neighborhood -- a mural is planned for the wall of the basketball court in the newly renovated 14th and Girard Street Park (aka the one that may be renamed Barack Hussein Obama Park). It was proposed by local nonprofit Words, Beats and Life and sponsored by the DC Commission on Arts & Humanities. It's supposed to be finished this month. Ellwood Thompson's asking Fenty for funding? 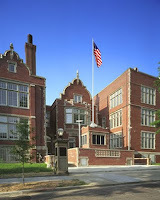 Ellwood Thompson’s will be appealing to Mayor Fenty for funds to begin construction at DCUSA. I’m told that the Mayor will be at Tubman Elem School tonight (Wed) for a forum to include discussion of “commercial development” starting at 7pm at the meeting of the North Columbia Heights Civic Association. He also can be contacted through dcgov.org under “contact the Mayor”. We need your support ! Rick Hood is the name of owner (I Googled it) but I haven't heard this from anywhere else, so I'm asking the company spokespeople to confirm. As noted previously, Jim Graham proposed a bill giving Ellwood Thompson's a tax break. Now I'm strongly in favor of the store coming to the neighborhood and I'm fine with tax breaks, but I'm less sure about asking the city for construction funds. Then again, that's kind of what happened with DCUSA. Looks like our longtime councilman might have a challenge this year -- Adams Morgan ANC commissioner Bryan Weaver is looking into running against Jim Graham, who has faced some scandals lately regarding his chief of staff Ted Loza, who allegedly took some bribes and did other creepy stuff (like forcing his mistress to get an abortion, allegedly). Scandals aside, however, Graham is very active in the community and has a lot of support, so it'll be interesting to see. What do you think? No more Graham, or keep the bowtie around? Just saw this on Twitter, there was an astronaut at the Columbia Heights Education Campus today speaking to kids: Jose Hernandez, who was on the most recent Space Shuttle trip to the International Space Station. Pretty cool, hope the kids enjoyed it. Bikers in Columbia Heights -- friend or foe? Just saw a looooong thread on the Columbia Heights listserve about bikes -- a pedestrian was nearly hit by a fast-moving bicyclist in a sidewalk who yelled "get out of my way." Then the discussion goes from there: should bicyclists obey traffic laws? Are laws biased against bikes in favor of cars? Did the biker know what he was doing? Most people seem to think everybody should just be courteous, but even so there's going to be some reckless driver, biker, or walker who could cause problems for somebody. I was almost hit by a fast moving bicyclist in a crosswalk the other day, but I wasn't really looking, so that's partially my fault. But again, I was in a sidewalk when I was allowed to walk. It's a sticky situation. Your thoughts? 14th and 11th Streets do have bike lanes, but even then, they'll have to cross sidewalks and other streets at some point. 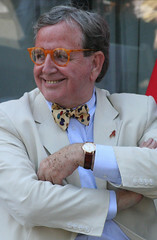 Photo by St Stev. Not in Columbia Heights, unfortunately. His Baldness is coming to Tubman Elementary School tonight Wednesday for a "community forum," starting at 7 pm at the meeting of the North Columbia Heights Civic Association. Their website says "This will be an open forum focusing on Columbia Heights-specific issues including crime, green / public spaces, commercial and infrastructure development, and schools." Sounds good! Someone should ask about Ellwood Thompson's, though he might not know anything about it. 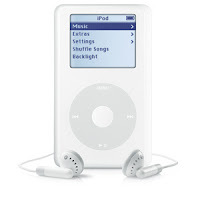 A good samaritan found an iPod in a green case on 13th between Otis and Spring on Saturday night and posted about it on the Columbia Heights listserve. If you think it's yours, email with a description of the picture on the back of the case to newcolumbiaheights(at)gmail(dot)com and I'll pass it on to the person who found it. That would stink, losing an iPod. This weekend I went into Tynan Coffee & Tea looking for some breakfast, as I saw on their site that they had waffles, breakfast sandwiches and breakfast wraps. However, like the first time I went in, I didn't see any breakfast on the boards over the registers, just coffee drinks. There's also the case in front of the register but that only had drinks, salads and pre-made lunch sandwiches. I picked up a turkey and havarti sandwich. They heated it up and it was very tasty, and then when waiting for my coffee, I noticed the board with all the food on it. It's to the left of all the registers and the rest of the menu, and it did in fact have breakfast sandwiches and wraps, plus waffles. I've heard the breakfast sandwiches are pretty good. So if you were like me and missed the breakfast food, just look to the left. 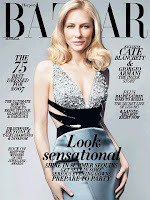 So I posted about Cate Blanchett being spotted at the Columbia Heights Metro, and I wondered why she was in the area. I followed up with the spotter on Twitter and it turns out she saw Ms. Blanchett shopping at Target. Another commenter saw her looking at ottomans in the furniture section. Pretty funny and cool -- I would have thought that a famous movie actress would have an assistant or something to do stuff like that. I guess that just means that Columbia Heights is the coolest and attracts all the movie stars. Take that, Georgetown and fancy stores on lower 14th Street! Looks like the construction on sidewalks has moved down from 14th and Kenyon to 14th and Irving -- saw these guys out there this weekend. They're making the sidewalks wider and it looks like they're also adding benches -- though I'm not sure why anybody would chill outside the CVS unless they were waiting for somebody.